Forget if you want. But remember again by 9/11. – Brian Beatty: Writer. Jokester. Bearder. Forget if you want. But remember again by 9/11. I’ll be performing a mix of vintage and brand-new stand-up at this the Sunday after I return from Scotland. I hope folks are able to understand whatever brogue I pick up across the pond. I hope I’m sober by then, too. 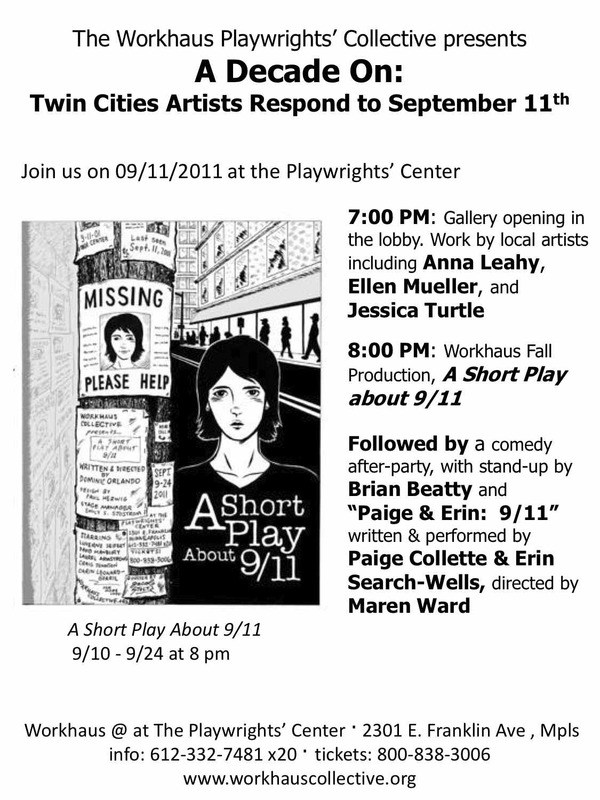 I’m thrilled to be gigging for/with the Workhaus Collective. At The Playwrights’ Center, where theater begins. That can only bode well for those “acting” gigs not in my future. ← Once upon a time ago.